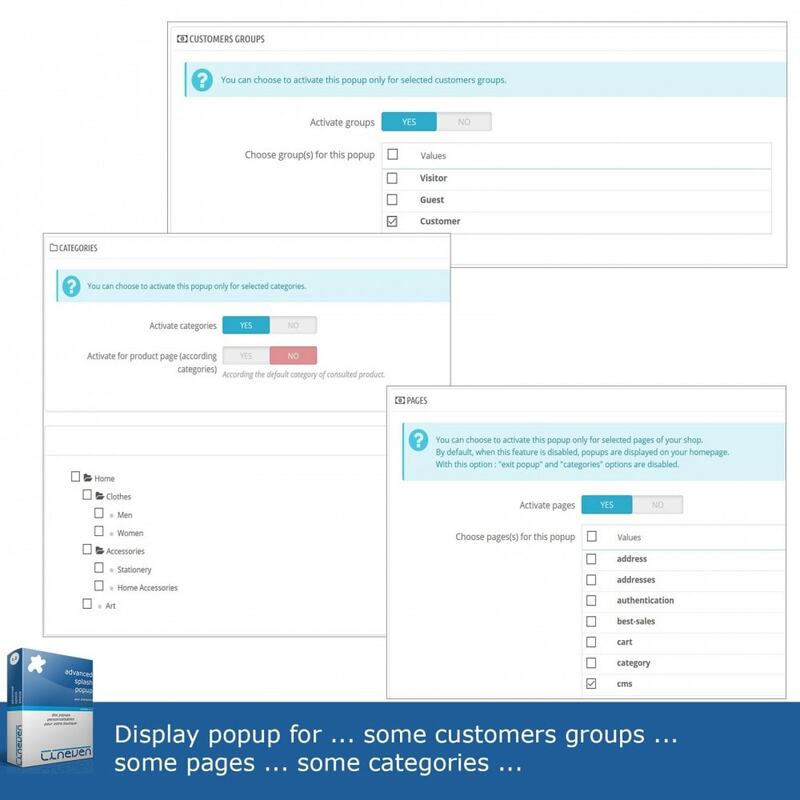 Quickly inform your customers by displaying a fully customizable popup on your shop. 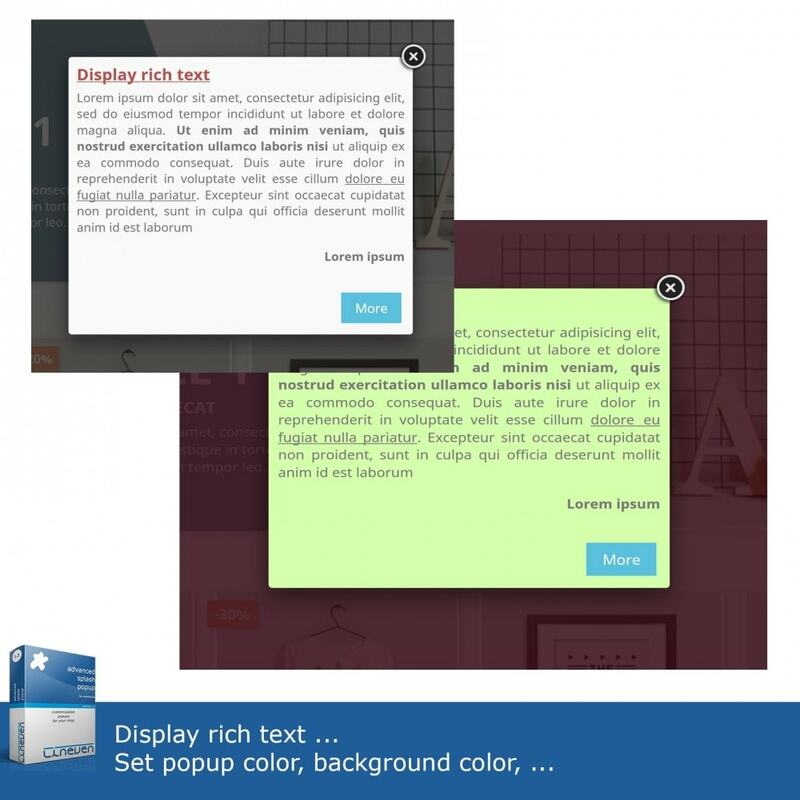 Completely customize your popups to display messages , products and / or images. Advertise for a product you want to highlight. 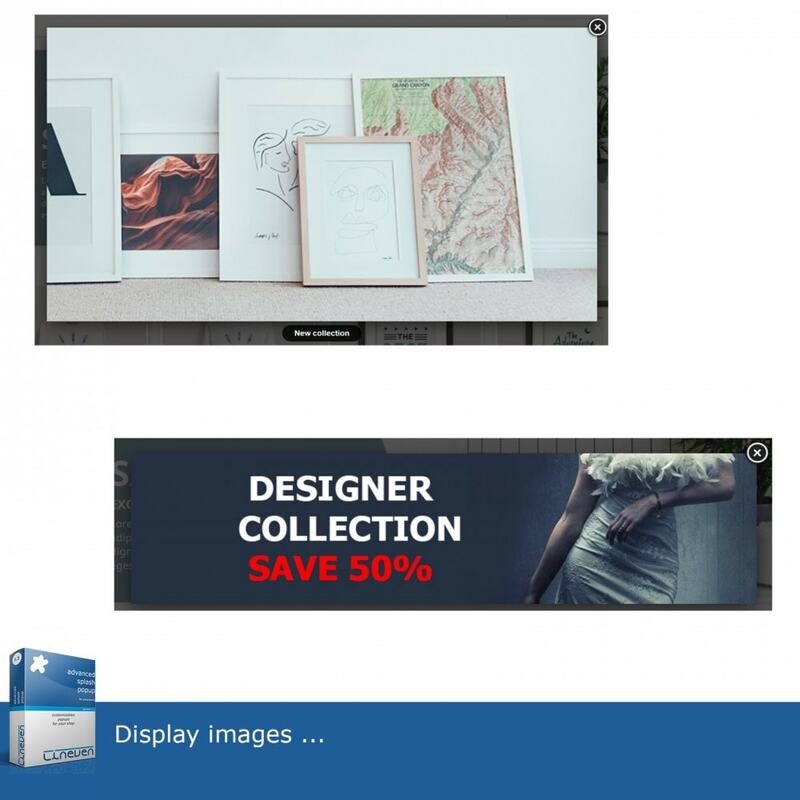 Display messages for your current promotions. Display an informational message for your customers. Declare a specific script for triggering the popup. 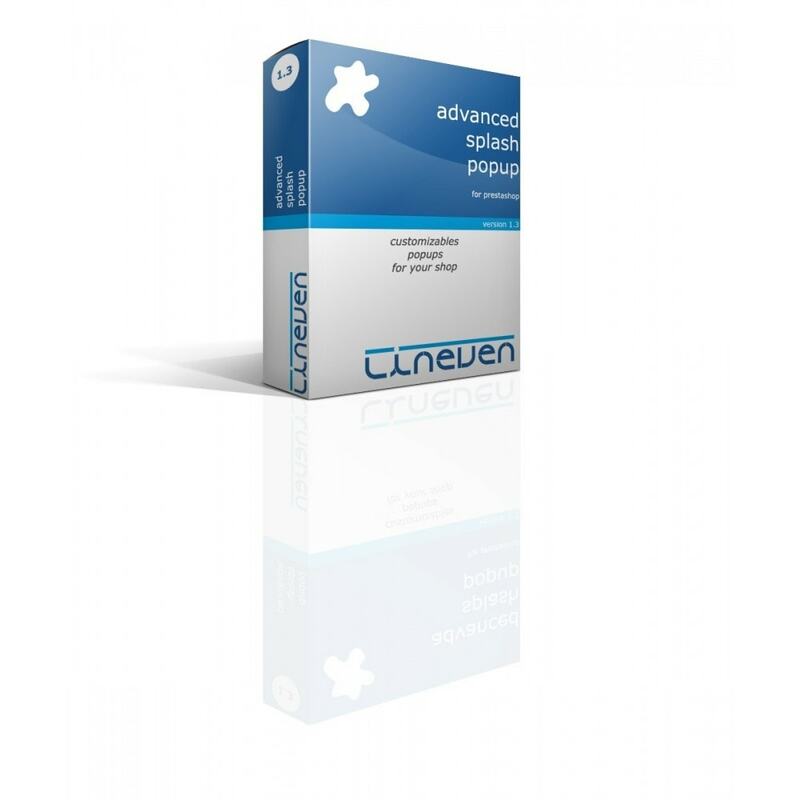 Manage your popups with Advanced Popup Splash. Manage all of your popups in a popup library. The popup will be randomly selected for display on your shop. 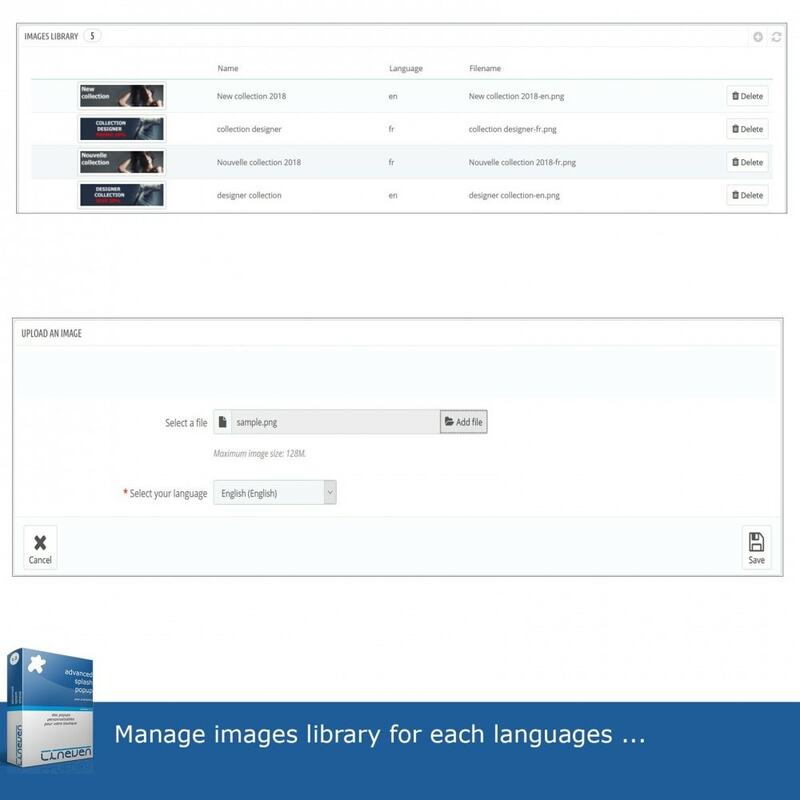 Simplify your task by using the image library integrated into the module. And import and manage your images directly from the module. 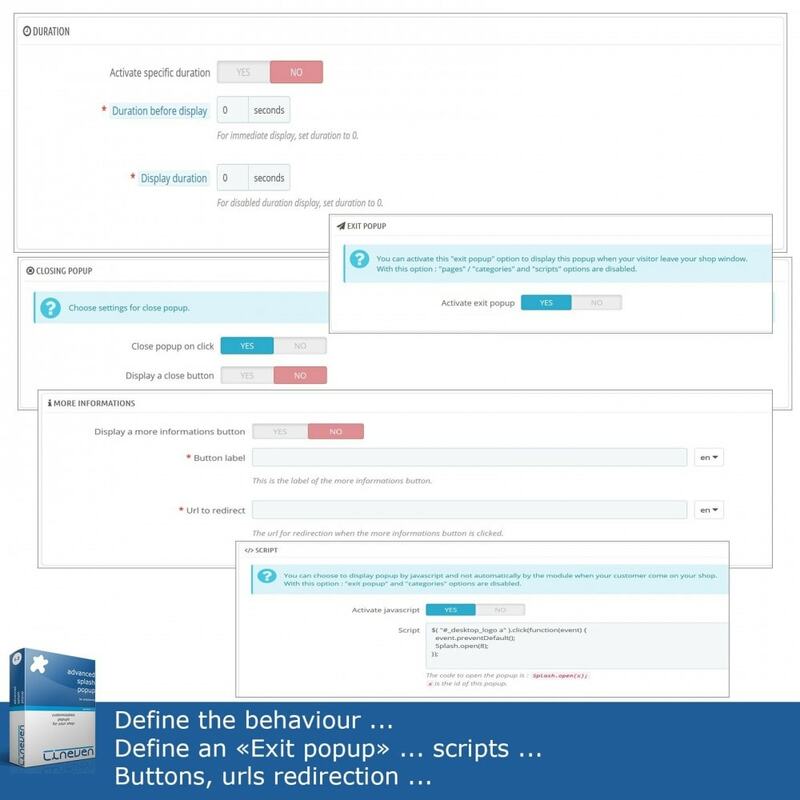 Use mode test to try your configuration without customers impacts. 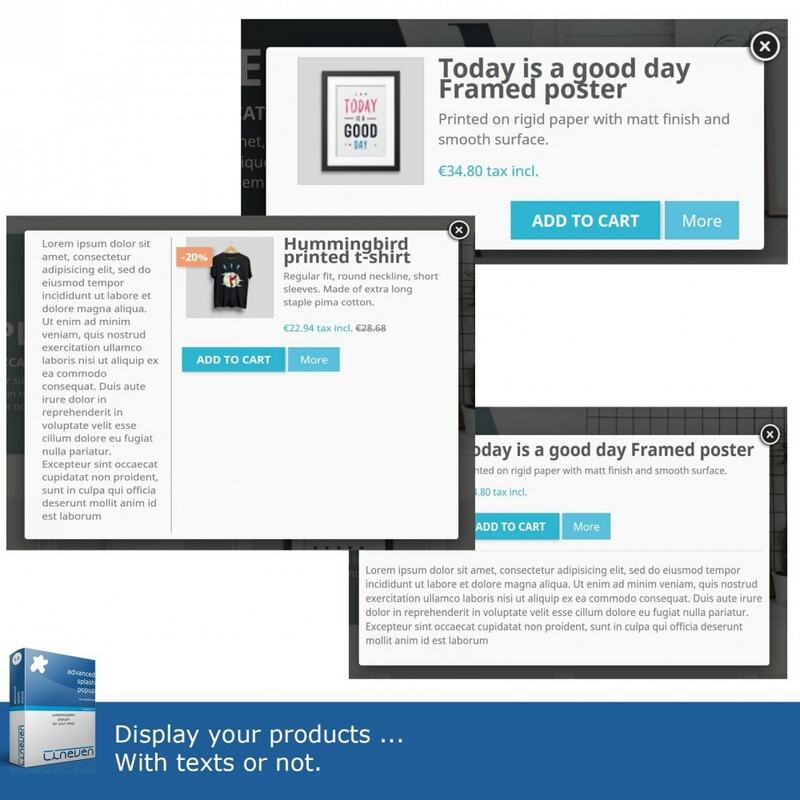 Being quickly informed by displaying a popup on your shop (commercial, information, messages, advertising, etc ...). Exit popup : Possibility to define an exit popup. 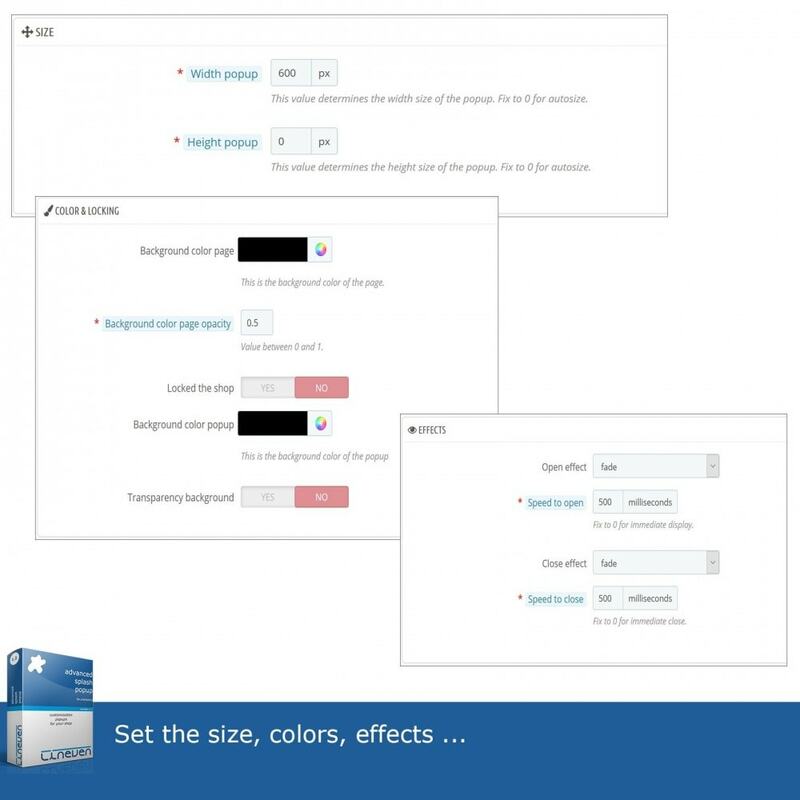 Display by pages : Possibility to display a popup for selected pages.